The Roman – The Wanderers Travel Co. When in Rome! The ancient city – the eternal city, evoking the past so powerfully in the present. As you wander the tangled cobblestone streets of its historic centre you can’t help but to feel its past and present strength, grandeur and beauty. Marvelling at incredible basilicas and priceless art treasures. Sitting by beautiful fountains in pretty piazzas, sipping coffee and soaking in la dolce vita – the sweet life. Walking the same ground as ancient civilisation and standing in structures where gladiators battled and the Roman empire ruled the world. The Roman duffle is the perfect mix of strength and style. It has an external zippered pocket, three internal pockets and plenty of room to fit everything you need. 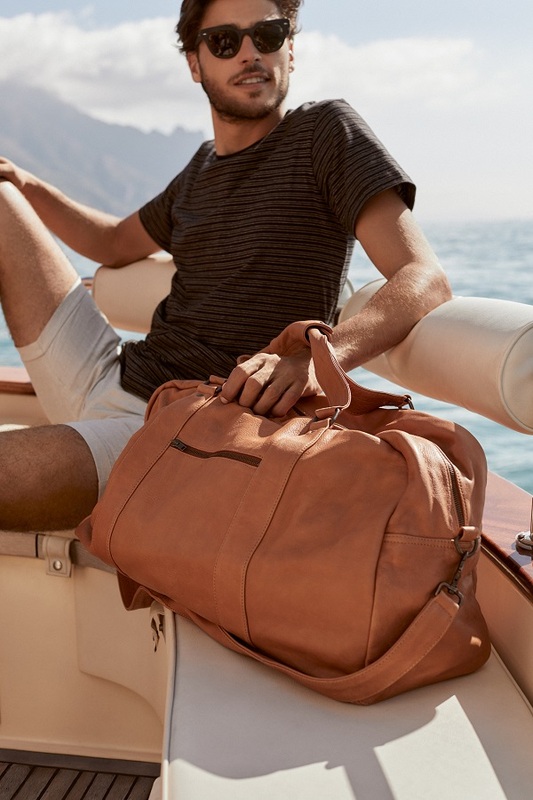 Great as an overnighter, for a weekend getaway or a classy carry on for your flight. Incredibly soft full grain cow leather with our signature coin attached. *PLEASE NOTE: the logo on the black and blush leather is not gold foil on our current stock. The logo is simply embossed as per the tan.